Home / Drama / Essays. / G.B. 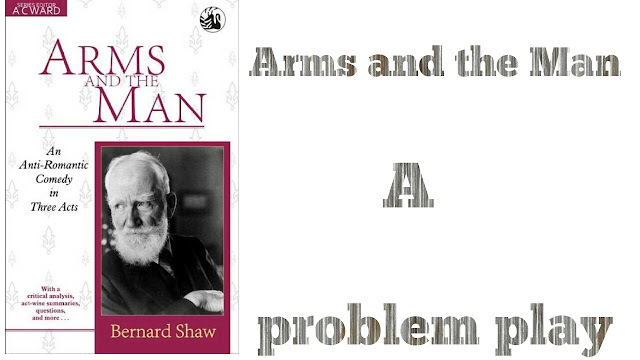 Shaw / Introduction to Drama / "Arms and the Man" as a problem play. "Arms and the Man" as a problem play. The term ‘problem play’ was coined by Sydney Grundy who used In a disparaging sense for the intellectual drama of the nineties, which he believed was marching to its doom in the hands of “a coterie of enthusiastic eccentrice.” Shaw defined it as “the presentation in parable of the conflict between man’s will and his environment.” A problem play is supposed to deal with some problems of human life to be solved by the reader or the spectator. In a problem play the dramatist draws the public attention on the social problems and exposes the follies that lie beneath them. He presents both sides of the problem impartially and leaves the solution to the imagination of the audience. In Arms and the Man Shaw deals with the problem of romantic illusion about war and love. Raina and Sergius are two apostles of romantic illusion. They have romantic misconceptions about war and love. Shaw shatters their romance through his monthpiece, Bluntschli, who is a realist. Sergius is the romantic hero of the play Arms and the Man. He is betrothed to Raina. In the Serbo-Bulgarian War, he led a cavalry charge and defeated the Serbian soldiers at the battle of Slivnitza. When Raina comes to know Sergius’ victory, she becomes wild in joy and it seems to her that all her romantic ideas about his heroism has been proved true. She worships the portrait of Sergius and regards it as the hero of her soul. But when she meets Bluntschli, her romance begins to shatter. She has the romantic notion that soldiers are brave and they are not afraid to die. But Bluntschli tells her that soldiers are afraid to die and it is their duty to live as long as they can. He also gives her the idea that food is more important than ammunition in the battle field. He again inculcates in her that Sergius is not a hero in leading the cavalry charge against the artillery because if the Serbs had right kind of ammunition, the cavalry chargers would be massacred. So Bluntschli compares him to Don Quixote, who attacks a windmill mistaking for a giant and congratulates himself on his daring adventure. Now Raina’s romance about warvand Sergius’ heroism is shattered. Sergius has romantic illusion about war. To display bravery is the only matter to him. So ignoring the command of the Russian officer and violating the military rules, he led the cavalry charge against the artillery at the battle of Slivnitza. He wins the battle the wrong way. Reality begins go prevail over him when he sees that two Cossack colonels were promoted to major-generals,though they lost the battle following the rules of military warfare strictly, but he was not promoted because though he wins the battle, he violated military rules. Ultimately he realises that soldiering is the coward’s art of attacking enemies mercilessly when the enemies are weaker and keeping at a safe distance when the enemies are stronger.When Bluntschli narrates the horror of war, Sergius’ romance is completely shattered and he considers war as a hollow sham. 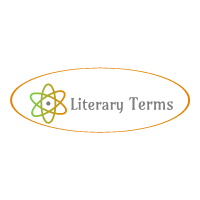 Shaw in the play also deals with the problem of romantic love. Both Raina and Sergius have ‘higher love’ for each other. But the ‘higher love’ cannot tie them together. When Raina goes out of his sight, Sergius begins to flirt with Louka, the maid-servant. Louka is a realist. When she realises that romantic Sergius requires earthly love, she entraps him by making the best use of her wit and intelligence and makes him to marry her. Similarly, Raina is drawn to the realist Bluntschli by his original morality, intellectual smartness, freedom from all conventional ideas. She is drawn to him because in him she finds economic security and comfort. So she marries him. It is often argued that problem play is rarely good art because when the artist gains the upper hand, the artist perishes. The problem playwright is supposed to convey ideas and not to tell a story. So the problem play lacks action. Arms and the Man lacks action. The plot of the play is of minor importance. In the play the emphasis is given on discussion. Up to a certain extent, Shaw present both sides of war and love---realism and romance---impartially. In a problem play, the given problem remains unsolved. But in Arms and the Man Shaw does not leave the problem unsolved. He advocates the cause of realism in the play. So it is not a problem play but a propaganda play in which the dramatist advocates his own ideas.